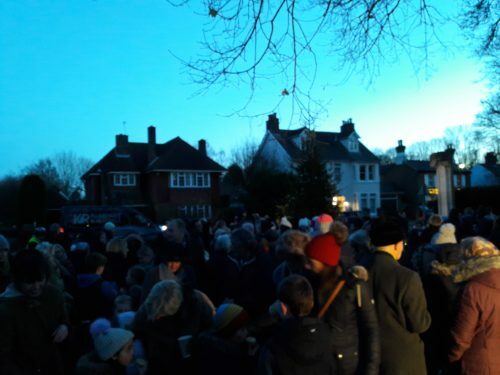 The Christmas Lights event was very well attended, despite really cold conditions. Everyone gathered around the Norwegian Fir tree adjacent to the War Memorial. Soft drinks for the kids and warm mulled wine for the adults were served by councillors, along with mince pies and chocolate treats. 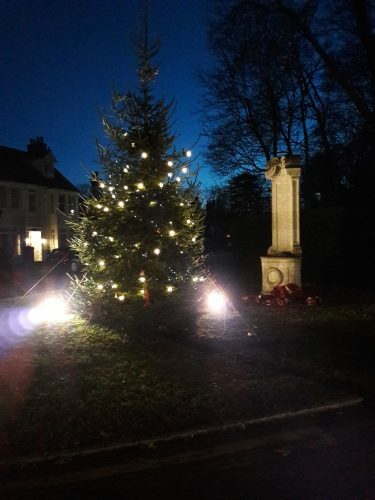 Chesham Bois C of E Combined School children began the singing with ‘Bleak Midwinter’, followed by the children of Chestnut Lane Infant School, singing ‘Children of the World’. All the children were then invited to hang their homemade decorations on the tree. Then, after a countdown, the Christmas Tree lights were switched on. Thank you to all the staff of Chestnut Lane and Chesham Bois Church of England schools, who came along on a bitterly cold afternoon to direct their school choirs. We managed to acquire the Christmas Tree Farm’s largest tree, this year. As you can see, transporting the tree was no easy task! 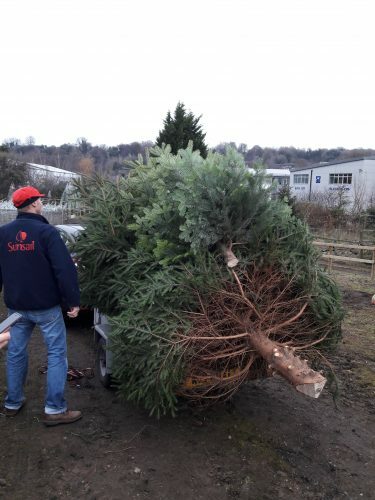 Fortunately, Councillor Heath provided his trailer and we transported the tree up the Amersham Road.